Over the past couple of months I have been getting lots of requests for printable versions of the graphics here on INTO MIND and in the past week I finally started the process of converting some of the most popular/requested ones to a print-friendly format. Today I can share the first batch with you: 7 high-res templates and posters that you can download and print, then fill out, stick on your wall or put in your wallet for easy reference, whatever you like. Each one comes in two different formats: A4 and letter-size. Choose whichever format works best with your printer! Note: "Personal Style & the Perfect Wardrobe: A Workbook" will be available at a 20% discount all of today (EDIT: Extended until Saturday 9pm EST). Use the code BLACKFRIDAY to apply the discount. 10 basic principles for building the perfect wardrobe. 9 habits for living a simpler, more intentional life. A good workplace reminder to slow down and de-stress. A step-by-step flow chart for giving your wardrobe a thorough detox. Use at the beginning of a new season or just for regular maintenance. 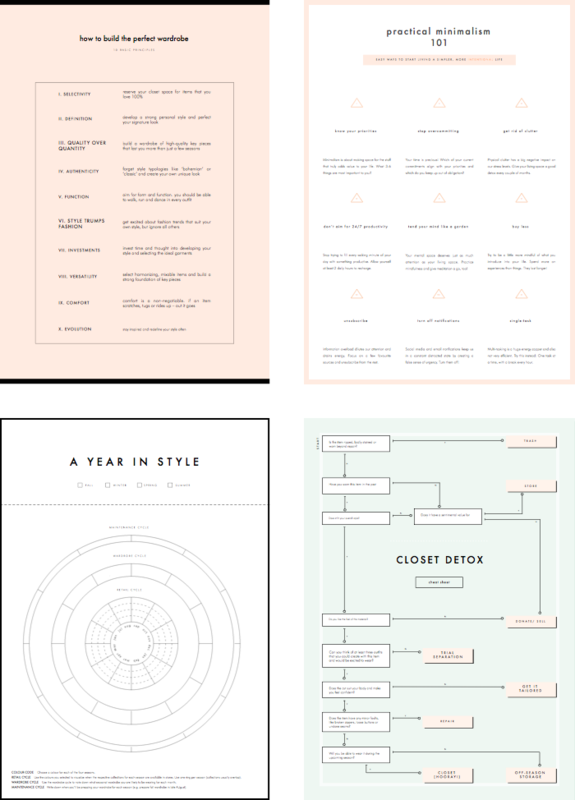 A template that you can use to visualise the annual cycle of your wardrobe, plan out seasonal updates and note down when new collections will be in stores and on sale. Check out this post for more details and a complete example. A two-page cheat sheet of all the most important properties to look out for when assessing the quality of garment. Includes sections on fabrics, seams, tailoring, linings and details. 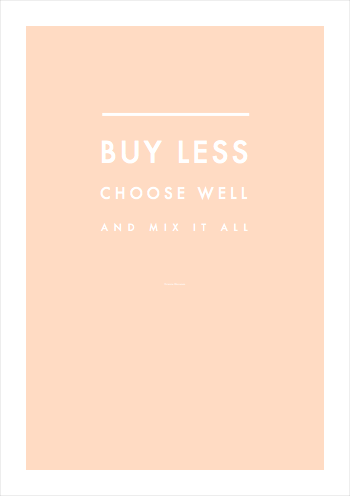 A simple template for mapping out a colour palette for your wardrobe, beauty look or any other visual concept.